My young friend Grace is insightful beyond her 9 years. On the way to a bridal shower, I asked her what she thought of the recent Cinderella movie that my girls and I were about to see over March Break. She wished the step-mother had been ugly. My mind immediately went to Prov. 11:22 because Grace’s frustration aptly illustrates the principle we find there. 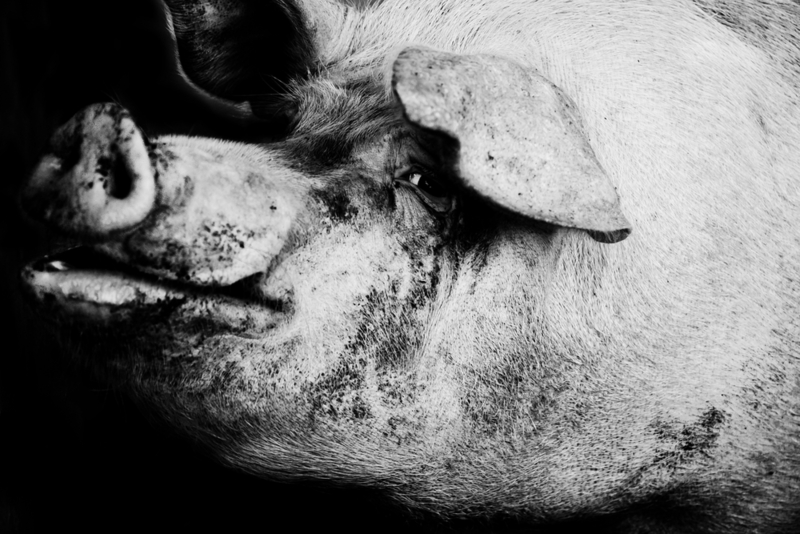 Like a gold ring to a pig’s unsightliness, physical beauty is ultimately powerless to compensate for gross deficiencies in a woman’s character. As appealing as the adornment of physical beauty is at first glance, it is rendered insignificant when a woman abandons good judgement in how she thinks, speaks and behaves. We’ve probably all seen it and it is an unfortunate waste. Like a pig wearing diamonds or a hog in heels. God never denounced physical beauty or the seemingly natural inclination for women to engage in the process of adorning. As a matter of fact, He uses its normalcy throughout scripture to illustrate some important spiritual matters, like God’s grace, salvation, marriage and the relationship between Christ & the Church. (Ezekiel 16:1-14, Isaiah 61:10, Ephesians 5:25-28, Revelations 19:6-8) And when the Bible uses this symbolism, it does so without condemnation or reproach for the practice of adorning. Yes, physical beauty should never be our crowning feature and is far inferior to the enduring beauty that comes from good character (I Peter 3:3-4). And yes, it is riddled with dangers and misuses (2 Sam. 11, Prov. 7). And most certainly, God’s measure of a woman is her heart and not her appearance (I Sam. 16:7). Physical beauty is not an enemy of true beauty, but it will either adorn it or masquerade as it. One use of physical beauty is wise stewardship. One is an unfortunate waste. And that is the only time physical beauty is spoken out against – when it is deceitful. When it presents us as more beautiful than our character truly makes us. This is false advertising of the most disappointing sort. The gold ring of physical beauty is not the problem. It is the nature of one who wears it that renders physical beauty well-placed or wasted. Do we use any physical beauty we possess to influence for good and draw attention to the God who transforms ugly hearts into hearts of beauty and grace? Or is our physical beauty a source of disappointment as people we could otherwise influence are repelled by the discrepancy between what they see and what we really are? So friend, go ahead and wear that ring. Just preferably not on a snout or hoof. *”She Ain’t Pretty” by Bryan Potvin. Thank you so much for this!! You explained this so clearly! I feel like I understand about beauty better than I ever have before. It’s always been a confusing issue to me. Thanks! Heather – I couldn’t include everything, but I loved these quotes from Matthew Henry: Physical beauty is “a thing very valuable, and where there is wisdom and grace to guard against the temptation of it, it is a great ornament.” And then he quoted a Latin phrase that translated says ““Virtue appears peculiarly graceful when associated with beauty.” God made it, so if we have any of it, we might as well use it effectively! Blessings friend.